Since the arrival of the Nokia 808 PureView manufacturers have been battling ever harder to create the very finest phone camera. We&apos;ve seen everything from mainstream adoption of optical image stabilisation to custom technologies like LG’s laser autofocus and HTC’s Ultrapixels – which reappeared on the new HTC 10. The P9 is Huawei’s stab at the title and sees the firm team up with photography legend Leica to create what it’s calling “the ultimate camera-phone”. 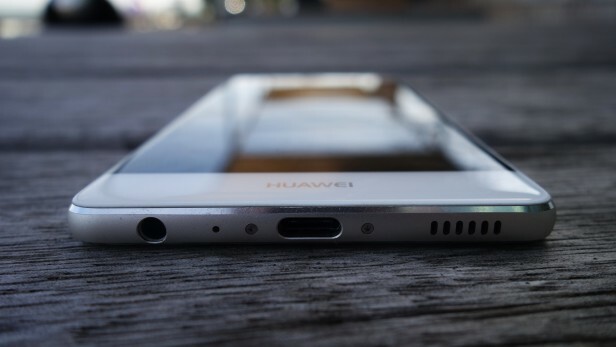 It features a nifty dual-lens rear camera setup similar to the one Apple’s rumoured to be working on for its fabled iPhone 7, and there’s definitely some truth to Huawei&apos;s claim. But be warned, its custom imaging software shares some of proper Leica cameras&apos; “eccentricities”. This, combined with ongoing issues with Huawei&apos;s EMUI Android skin, make the P9 a good, but not great, smartphone. 2016 has been a great year for Android fans, and seen the release of some of the prettiest smartphones ever. Highlights have included the super-swish Samsung Galaxy S7, the awesomely metal HTC 10 and the modular LG G5. The P9 stands alongside these stellar handsets on the design front and is the best-looking smartphone Huawei’s ever made. It has an undeniable Apple iPhone 6S-ish feel, featuring a unibody metal chassis with flat sides. The metal, combined with the P9’s almost bezel-free display gives the phone a feel that&apos;s on par with any 2016 flagship I’ve tested. Huawei’s also loaded the P9 with a decent portfolio of connectivity. At its bottom you’ll find a USB Type-C port, and along its long right-hand side you’ll find a Nano SIM and microSD card slot. The microSD will let you add a further 128GB of space to the phone’s inbuilt 32GB/64GB. But be warned, if you’re planning on taking advantage of the microSD, the P9 doesn’t support Android Marshmallow&apos;s Adoptable Storage feature. Adoptable Storage lets you instruct your phone to treat SD card storage like native storage – meaning you can do things like install apps directly to the SD card. On past handsets, such as the HTC One A9, I’ve found the feature massively helpful, as it let me walk around with my entire music and games library downloaded with space to spare. There&apos;s a good reason why Huawei, and other phone makers including Samsung and LG, are turning Adoptable Storage off. Running Adoptable Storage means you can’t swap the SD card out without damaging/impacting the smartphone’s performance. Using a cheap SD card will also hamper the phone’s overall performance, so Huawei’s decision is understandable, albeit a little disappointing in my mind. Outside of this, Huawei’s loaded the P9 with a Level 4 fingerprint scanner on its back. Huawei claims the scanner is a marked step up from the Level 3 scanners seen on competing phones and will be noticeably faster and more accurate than competitors. I didn’t notice much of a difference between it and competing fingerprint scanners like the ones seen on the Galaxy S7 or Nexus 5X. But this isn’t an issue and the scanner is still more than good enough. It&apos;s super-fast and the only times it failed to recognise my fingerprint was when I was using the phone in rain, or had dirty hands. Huawei’s also made it so you can use the scanner to enact some basic commands. The controls are activated in the phone’s settings menu and let you do things like pull down the notification panel and scroll through photos by swiping on the scanner. The feature sounds minor, but I found myself using the scanner to check incoming alerts on a regular basis after only a couple of days with the P9. Build quality is solid. Drop testing it on my wooden kitchen floor, the Huawei P9 survived crack- and chip-free. Though the body&apos;s metal does feel slightly more flimsy than the alloy used on the HTC 10, and can be prone to picking up dirt marks. The phone’s also not as comfortable to hold as the Galaxy S7 or HTC 10. Its miniscule 7mm thickness, combined with its flat sides, can make it feel slightly slippery – which will be an issue for clumsy users who regularly drop their phones. 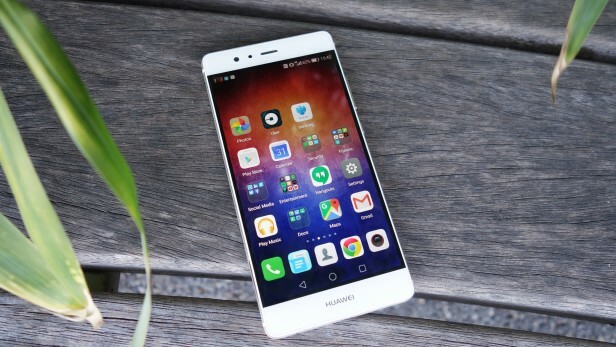 To spec-heads the Huawei P9’s 5.2-inch display isn’t anything to write home about. The FHD 1080 x 1920 resolution puts it well behind competing smartphones such as the Galaxy S7, which generally have cornea-slicingly sharp QHD 2560 x 1440 resolutions. But being honest, with everyday use I didn’t have any serious complaints about the screen. There’s been a lot of debate about when the human eye stops being able to tell the difference between resolutions. Some people say it’s when we break the 300ppi (pixels per inch) density milestone, while others think we can spot the difference past 500 ppi. Whatever the truth of the matter, I found the P9’s 423ppi display more than sharp enough. Icons and text are universally sharp and pleasingly free of any signs of pixelation. The use of LCD screen technology ensures blacks are nicely deep and colours have a good amount of pop, without looking over-saturated. The phone’s colour temperature setting also makes it quick and easy to adjust it to meet your personal preference. White levels are slightly muddy compared to competing handsets, but are far from terrible, and viewing angles, while not the best I’ve seen, are suitably wide. All in all, the P9’s screen isn’t the best around – that title goes jointly to those on the Galaxy S7 and HTC 10 – but it’s more than fit for purpose. 99% of people will have no issue with it. Huawei’s insistence on loading its God-awful Emotion skin onto handsets has been a constant problem. I’ve never liked Android skins, as they generally add bloatware, make needless changes to Android’s now excellent user interface and delay how quickly devices can get upgraded to new versions of the OS. 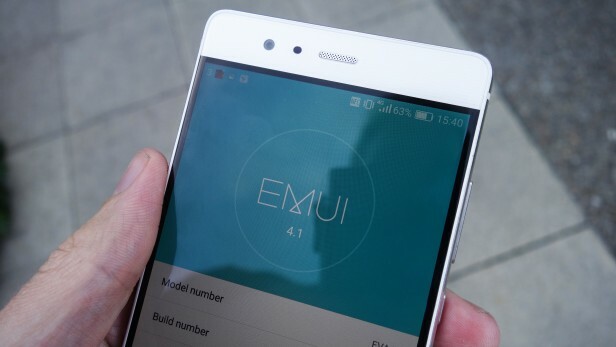 Despite Huawei having actively worked to tone down EMUI, the skin is still guilty of at least two of these sins and is, in my mind, one of the worst available. For starters, the OS reworks Android’s user interface to the point that it’s all but unrecognisable. Android’s app tray has disappeared, so all installed applications are now displayed on the phone’s home screens, the same way they are on iOS. Useful shortcuts, like the torchlight in Quick Settings, have also been inexplicable removed. This makes the UI feel alien to even the most seasoned Android user. Considering Android Marshmallow’s awesome Material Design, I can’t help but feel Huawei’s making changes for the sake of it. Hats off to Huawei for reducing the amount of bloatware on EMUI in recent years, but there’s still more of it than I’d like. Out of the box the phone still runs duplicate Huawei apps that offer either equivalent, or inferior, services to Android’s native versions. Key offenders include the messaging, calendar, email and gallery apps. I’d really like Huawei to take a page out of the HTC 10’s book and stop loading duplicate apps onto its handsets. It’s too early to say if my third issue with Android skins will repeat itself on the P9. To know we’ll have to wait and see how quickly it gets upgraded to the final version of Android N later this year – though given Huawei’s poor track record with software updates I don’t have high hopes. It’s easy enough to ditch EMUI using a launcher, such as the official Google Now launcher, but it’s still a faff, as the apps and useless features will still be there eating up storage and memory.